"Avengers: Infinity War," which opens Friday, received mostly positive reviews from critics, with an 85 percent "Fresh" rating on Rotten Tomatoes. But top critics from publications like the New York Times and the Los Angeles Times were less than impressed. 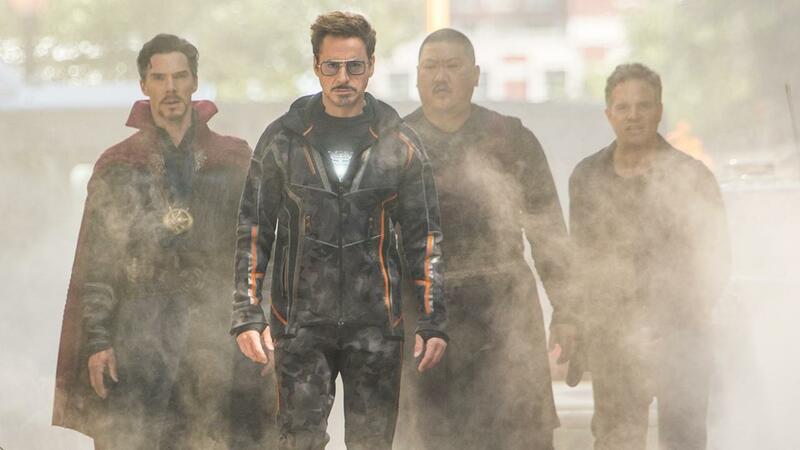 One thing critics agreed on: Fans should not expect a satisfying ending to the film, since it's the first installment of a two-part sequel to the previous "Avengers" films. Critics also said they weren't going to offer spoilers about who dies, because they're scared of "Avengers" fans. Chris Nashawaty of Entertainment Weekly said in his review, "And no, I won't be offering any spoilers because, frankly, y'all scare me." Richard Roeper of the Chicago Sun-Times gave a positive review with a disclaimer, saying, "'Infinity War' might be the biggest and most ambitious Marvel movie yet, but it's certainly not the best. (I'd put it somewhere in the bottom half of the Top 10.) However, there's plenty of action, humor and heart — and some genuinely effective dramatic moments in which familiar and beloved characters experience real, seemingly irreversible losses." David Betancourt of the Washington Post had high praise for the film, saying that it's unique not just because it unites the Marvel Universe for one film, but also boasts who he thinks is Marvel's most impressive villain: Thanos. He says, "But the insane amount of superheroing going on in 'Infinity War,' despite the geekful fanboy joy it creates, is not what makes this movie. What does is the villain those heroes are up against: Thanos ... Part 2 can't get here soon enough." But many high-profile critics were less kind. Justin Chang of the Los Angeles Times said, "My initial fear was that 'Avengers: Infinity War' would be a hopeless, planet-hopping traffic jam of a movie, a black hole of enervating cinematic chaos. The reality may be even more depressing: It works just fine, and that's all it was ever meant to do. Few of the characters leave us wanting more because there doesn't, at this late phase, appear to be anything more." A.O. Scott of the New York Times mused, "I'm supposed to tell you, in this review, how much fun you'll have at 'Infinity War.' (Yes, you will have some. Will you have enough? Almost.) ... The action is especially tedious and predictable. I mean both the scenes of fighting and flying and the overall rhythm of the first two hours or so. People talk for a while, sprinkling jokes and morsels of personality into the heavy dough of exposition. Then they fight in the usual way, by throwing giant objects (and one another) and shooting waves of color from their hands. The noisy, bloated spectacles of combat were surely the most expensive parts of the movie, but the money seems less like an imaginative tool than a substitute for genuine imagination." Chris Nashawaty of Entertainment Weekly gave it a solid B, saying that while there are "issues," "It's the Marvel equivalent of watching the old 'We Are the World' video (Hey, it's Bob Dylan singing between to Cyndi Lauper and Huey Lewis!). And for the most part, this super-sized mash-up works better than you'd expect." David Edelstein of New York Magazine critiqued its storytelling, but said, "Marvel's triumph is not that we are loyal audiences, not even loyal fans. We are slaves." He wrote, "As I write this I know so much that you don't, and most of all, I know that 'Avengers: Infinity War' is going to dazzle, stagger, and rile people up. It's a scorched-earth movie — though not, of course, as visceral as its Fox cousin 'Logan,' which was scorched earth plus arterial spray. It can't be judged as a stand-alone work since it doesn't stand alone and isn't — objectively speaking — even a very good piece of storytelling. As an exercise of studio might, however, it has no peer. Flagrantly, bombastically extravagant, it plays its audience like a hundred million fiddles."